My letters are about very serious matters and I work very hard to compose them properly and not waste your time. You can take them to court and accuse me of lying, of incitement, of anything you want, and I'll swear they are my words. What more do you really expect from a citizen? We are discussing the potential deaths of millions, and you're going to claim you are "damned if you do and damned if you don't" because of a quip about a silly spelling error? I was figuring you were probably getting afraid this was going to look bad on your resume. It will. You have yet to respond coherently to any major point I've raised. There's been nothing but pro-nuclear pabulum, so far. And by the way, that was at least as much a "dig" at modern technology as at your typing abilities, don't you think? Or are you just looking for an easy way out and you see this as it? >So Ace, I'm going to guess that you have exchanged a free flow of emails with few, if any, partisan lawmakers. And you criticize me for responding to you personally off my Bloackberry?!? There's no pleasing you at all. I'm damned either way. I guess I'd rather then be damned by my silence. Bye now. >Why not use the same tactic to take out a large hydro dam and just drown people? It's more immediate. Dead is dead. >By the way, I still don't see a way to conduct a controlled flight into the very top of a containment dome striking at a 90 degree angle. You have combined a lot of low probability events together into a worst-case scenario that is too improbable to matter. Controlled flight is the key. Commercial aircraft of the size you reference aren't going to be able to fly with precision in a vertical dive. Your scenario is implausable. >What, BlackBerry's don't have spell-check? That's an interesting use (and spelling) of the word "implausible" since I would certainly hope that it would take a few hours in the flight simulator to perfect the maneuver to the point where you are willing to go out and do it. But what EXACTLY does "with precision" mean? How much precision do you need to hit any of so many large targets? And who says -- besides you -- that they'll only use one jet? And since when is a Raytheon Hawker 800 corporate jet, which can carry more than 12,000 pounds of payload (including fuel) a large "commercial aircraft?" And I didn't say the jumbo jet would dive at "exactly" 90 degrees. Most of the top of the dome is a lot thinner than the sides -- presumably the part you said the turbines could go "2/3rds" of the way through. And for what impact speed, and which engines exactly, were you making that claim (because I've found that the densities and diameters of the turbine shafts vary greatly from one engine model to another)? >1) Dead is dead, but suffering can last a lifetime, and cost far more for everyone in terms of dollars, time, and effort. In war, maiming is actually a useful tactic if mayhem is your goal. A dirty bomb or nuclear attack would clog our hospitals with burn victims -- radiation burns are very difficult to treat and oh, the unspeakable suffering! Anyone who tried to put out a spent fuel fire would be there, as would anyone caught outside, or inside without duct tape. In Vietnam, and other wars, it was not uncommon for a sniper to shoot not to kill, but to wound, so that two buddies would have to help the wounded man. That takes out three people with one shot. Multiply that by the damage from a nuclear attack versus the drowning/not drowning from a hydro attack, and you can see the difference. >Plus -- duh -- a hydro dam is vastly thicker and harder to take out than, say, a nuclear spent fuel pool. >2) The "devastation" would not extend past the flood zone. Not all dam flood zones are highly populated, but the area around San Onofre certainly is. With a nuclear attack the radioactive poisonous plume would roll over the mountains and the valleys according to the winds. So therefore, the devastated area is very likely to be much bigger for a nuke attack than for a hydro dam attack, assuming for the moment (as you do in your cartoon world) that water damage and radiation fallout damage are equal. They aren't. Those who manage to float on the water and live will be in much better shape than people who breathed in some radiation poisoning but managed to survive the wave of early fatalities. >3) The devastation is NOT equal -- it lasts for thousands of generations for a nuke attack (in you cartoon world, background radiation can just go up and up and up, because no one ever died from background radiation in your cartoon world). The water from the flood is actually likely to be rich in nutrients and will aid the next generation of farmers. The radiation from a nuke accident will poison the land for eons. >4) Only six of the 40 largest hydroelectric dams in the world are in the USA. There are many, many more nuclear targets than large hydro targets. San Onofre has at least a dozen perfectly good (if you're a terrorist) targets, as does every other nuclear facility. A hydroelectric dam has only one "devastating" target -- the dam itself -- which is usually in a canyon and behind a lake, not all that easy to approach from the air -- and there's little advantage that I can think of for barrelling in to steepen the angle of the dive. >5) If the goal of the terrorists is to break America's will by breaking our back, the suffering that will accompany a nuclear-oriented terrorist attack would be a pretty good start. If they want to cause long-term financial losses, destroying SoCal would surely be a harsh pill for the rest of the country, as we lose a trillion dollars of real estate, tourism, industry, farming, educational institutions, and even our ecological preserves. The damage plume could stretch for 500 miles and be circular, if the winds vary during the highest release times -- which might be hours, days, or weeks. I can think of little that would cause more panic than a nuclear attack. Can you? Can you really blame people for fearing this odorless, colorless, tasteless carcinogen which can devastate their children's children, and for which no one will ever compensate them for their suffering, and about which no government official is on record for telling the truth, the whole truth, and nothing but the truth, certainly not Chuck? No, don't blame the people for panicking when the time comes. Blame yourself for letting the time come. For doing nothing but pretending we live in a cartoon world when you had a chance. >Besides, Chuck, you have no right to ask why the terrorists might choose to attack a nuclear power station instead of a hydroelectric dam. None at all, because the terrorists have already made threats against our nuclear power plants, so we're past that phase of the discussion. It can be assumed that they will. Which one? >Our plants are vulnerable. Our plants are threatened. Our plants are unnecessary. Our politicians are irresponsible. Why not use the same tactic to take out a large hydro dam and just drown people? It's more immediate. Dead is dead. By the way, I still don't see a way to conduct a controlled flight into the very top of a containment dome striking at a 90 degree angle. You have combined a lot of low probability events together into a worst-case scenario that is too improbable to matter. Controlled flight is the key. Commercial aircraft of the size you reference aren't going to be able to fly with precision in a vertical dive. Your scenario is implausable. What, BlackBerry's don't have spell-check? That's an interesting use (and spelling) of the word "implausible" since I would certainly hope that it would take a few hours in the flight simulator to perfect the maneuver to the point where you are willing to go out and do it. But what EXACTLY does "with precision" mean? How much precision do you need to hit any of so many large targets? And who says -- besides you -- that they'll only use one jet? And since when is a Raytheon Hawker 800 corporate jet, which can carry more than 12,000 pounds of payload (including fuel) a large "commercial aircraft?" And I didn't say the jumbo jet would dive at "exactly" 90 degrees. Most of the top of the dome is a lot thinner than the sides -- presumably the part you said the turbines could go "2/3rds" of the way through. And for what impact speed, and which engines exactly, were you making that claim (because I've found that the densities and diameters of the turbine shafts vary greatly from one engine model to another)? 1) Dead is dead, but suffering can last a lifetime, and cost far more for everyone in terms of dollars, time, and effort. In war, maiming is actually a useful tactic if mayhem is your goal. A dirty bomb or nuclear attack would clog our hospitals with burn victims -- radiation burns are very difficult to treat and oh, the unspeakable suffering! Anyone who tried to put out a spent fuel fire would be there, as would anyone caught outside, or inside without duct tape. In Vietnam, and other wars, it was not uncommon for a sniper to shoot not to kill, but to wound, so that two buddies would have to help the wounded man. That takes out three people with one shot. Multiply that by the damage from a nuclear attack versus the drowning/not drowning from a hydro attack, and you can see the difference. Plus -- duh -- a hydro dam is vastly thicker and harder to take out than, say, a nuclear spent fuel pool. 2) The "devastation" would not extend past the flood zone. Not all dam flood zones are highly populated, but the area around San Onofre certainly is. With a nuclear attack the radioactive poisonous plume would roll over the mountains and the valleys according to the winds. So therefore, the devastated area is very likely to be much bigger for a nuke attack than for a hydro dam attack, assuming for the moment (as you do in your cartoon world) that water damage and radiation fallout damage are equal. They aren't. Those who manage to float on the water and live will be in much better shape than people who breathed in some radiation poisoning but managed to survive the wave of early fatalities. 3) The devastation is NOT equal -- it lasts for thousands of generations for a nuke attack (in you cartoon world, background radiation can just go up and up and up, because no one ever died from background radiation in your cartoon world). The water from the flood is actually likely to be rich in nutrients and will aid the next generation of farmers. The radiation from a nuke accident will poison the land for eons. 4) Only six of the 40 largest hydroelectric dams in the world are in the USA. There are many, many more nuclear targets than large hydro targets. San Onofre has at least a dozen perfectly good (if you're a terrorist) targets, as does every other nuclear facility. A hydroelectric dam has only one "devastating" target -- the dam itself -- which is usually in a canyon and behind a lake, not all that easy to approach from the air -- and there's little advantage that I can think of for barrelling in to steepen the angle of the dive. 5) If the goal of the terrorists is to break America's will by breaking our back, the suffering that will accompany a nuclear-oriented terrorist attack would be a pretty good start. If they want to cause long-term financial losses, destroying SoCal would surely be a harsh pill for the rest of the country, as we lose a trillion dollars of real estate, tourism, industry, farming, educational institutions, and even our ecological preserves. The damage plume could stretch for 500 miles and be circular, if the winds vary during the highest release times -- which might be hours, days, or weeks. I can think of little that would cause more panic than a nuclear attack. Can you? Can you really blame people for fearing this odorless, colorless, tasteless carcinogen which can devastate their children's children, and for which no one will ever compensate them for their suffering, and about which no government official is on record for telling the truth, the whole truth, and nothing but the truth, certainly not Chuck? No, don't blame the people for panicking when the time comes. Blame yourself for letting the time come. For doing nothing but pretending we live in a cartoon world when you had a chance. Besides, Chuck, you have no right to ask why the terrorists might choose to attack a nuclear power station instead of a hydroelectric dam. None at all, because the terrorists have already made threats against our nuclear power plants, so we're past that phase of the discussion. It can be assumed that they will. Which one? Our plants are vulnerable. Our plants are threatened. Our plants are unnecessary. Our politicians are irresponsible. Don't pretend you aren't making ad hominem attacks. You are. I passed high school geometry with flying colors. My proofs were, in fact, almost always more concise than the other students, all of whom went on to college a few years later. Containment domes are very flat and relatively thin at the top. A rake of four turbine shafts, with a fuselage full of explosives (perhaps including D.U. spears) and all that fuel in the wings would produce a level of devastation which is unparalleled in American history. It would out-do 9-11 in sheer terror, in real lives, and in total cost. It is your duty to prepare America for such attacks, not to deny they can happen. There's a video available of an old forestry service airplane which hits an updraft after coming over a mountaintop, and both wings break off. The fuselage continues in the general direction it was going. If this occurs during a 0-G dive the fuselage (which could be loaded with explosives) would continue in the same general direction, and the engines might break off from the wings as well, and continue with all their inertia, in the same general direction. In other words, a break-up a half mile or more before impact may not even be enough to prevent a direct hit, if the 747 was in a 0-G dive at the time anyway. The video of the forestry service breakup actually shows this quite well, and logic suggests it. And the terrorists know it, too. So the idea of barreling a 747 into a nuclear power plant is a good one (if you're a terrorist). It's not even a very difficult maneuver: You simply roll the plane over on its back and pull the controls towards your stomach a little. The exact aiming is admittedly the hard part, but I think the terrorists have shown that they can do it, and I have shown that I could do it, and anyone who spends enough time with Flight Simulator can show that they can do it, too. The terrorists will be thinking of the service to humanity they believe they are doing (in their warped terrorist minds) as they approach the tight complex of two domes and a dozen buildings, many of which (they'll know which ones) can cause a meltdown or other release of deadly quantities of radioactivity. The terrorists will know exactly where the spent fuel pool is in relation to the two domes. Where would the engines and other large pieces of the 485-ton plane ricochet? Probably a lot of them would end up between the domes. Could that be anywhere near the control rooms or the emergency backup generators or the spent fuel pools? If they have an insider on the watch, the terrorists would even know when a dry cask is being loaded -- the transport truck is a particularly vulnerable target. Of course, you don't think I'm being too technical, and I couldn't possibly be saying anything that might help the terrorists because according to you, there is nothing to worry about. In reality, the reason it isn't a crime to say what I'm saying is because the terrorists know everything I'm saying, and much, much more about our vulnerabilities. In addition, the things I'm saying are public knowledge, and it MUST be presumed that the terrorists can put two and two together, just like I can, even if you can't. Even if it takes them a few years to prepare their 747 for the moment of striking. Or their Raytheon Hawker 800 corporate jet (which can carry a 10,000-lb bomb and still carry enough fuel to get to its target from several nearby airports), or their little fleet of Piper Cubs with gasoline-bomb explosives. Any of these could cause a meltdown. And when the attack happens, nobody will be responsible for giving the terrorists the idea of attacking a nuclear power plant -- they already have that idea. But, someone WILL be responsible for having provided the terrorists with a target. That's where you come in. You are guilty of willfully and knowingly providing weapons for the enemy. And for what? California has replaced San Onofre's energy output about seven times in the past decade. We could have closed the plant along the way, and greatly reduced the threat of terrorism, and many other dangers. Do a thought exercise and imagine you are the architect and designer of San Onofre, and I am the buyer. And imagine, just for fun, that I have to buy insurance for my project on the open market, there is no Price-Anderson Act to protect me, so my engineers are going to review everything very carefully. In that case, your claims, made below, would have to stand up in court, as proof that not ONE of those four turbine shafts could go through the dome and as proof (a legally binding assurance, that engineering experts, aviation experts, etc. can validate) that a 747 becomes uncontrollable in ANY dive. In fact, the NRC disagrees with you, and so does the FAA. All planes can dive, Chuck. All planes can do barrel rolls which end up with a dive into the ground. While 747s aren't Stuka Dive Bombers, with air brakes and special strengtheners in the wings for just such a maneuver, they nevertheless are designed to go much faster than normal cruise speed and withstand much greater stresses. The difference between a 325-mile-per-hour crash (as one example that the nuclear industry might use to make a hollow claim about invulnerability) and a 650 mile-per-hour crash (a more realistic impact speed) is, let us just say, pretty substantial (or shall we say, the latter is four times worse?). And if the terrorists decide to bring explosives on board their rented 747, they could carry quite a few, don't you think? Do you think terrorists cannot rent a Jumbo Jet, or even buy one outright and fly it legitimate-like all over the world for a few years? I presume you are going to continue to abdicate your civic responsibilities and not respond to all the other points I made, and not bother to educate yourself about the things you help promote so shamelessly. You should go back to school. Take law, biology, engineering, debate, and political science -- if you get through all that, you can start on nuclear physics, which you've also already proven (with your "radiation is radiation" comparison of K-40 with H-3) you know nothing about. Some of my readers are your constituents, others (including me) live within a few miles of San Onofre and deserve honest and responsible government, and all of my readers are seriously concerned about these issues. You owe all these people an honest and serious response. You owe me an honest and serious response as a cancer victim and San Onofre downwinder. And you even owe your friends in the anti-DNA movement -- the one which produces tritium and poison our babies with it -- an honest and serious response, as one of its leaders. Imagine that lives depend on making the right decisions, because they do. Thousands, if not millions of lives. So don't lie, don't make outlandish and irrational claims, and don't deny things that nobody in their right mind can deny. Don't pretend terrorists cannot cause meltdowns, because they can. I stand by my previous comments and if you wish to libel me, then stand by yours. Otherwise, take back your outrageous and irresponsible (and criminally negligent) comments, and respond seriously to the technical points in each of my recent newsletters that you've ignored. Or give up, embrace humanity, and help me shut San Onofre. Do you plan to attend the NRC hearing at 6:30 tonight in San Clemente? If so, I expect you to support me when I request that the participants be put under oath, and I expect you to do your civic duty, and not libel me in public as you have done in your letter. And don't make claims that are patently false, as you also have done in your letter. >You don't know much about geometry, do you? A containment dome is a dome, not a flat surface. This means it is impossible -- that's right, impossible -- for more than one turbine shaft to hit the dome at a 90 degree angle. That one shaft would penetrate about two-thirds of the way through. The remainder of the aircraft would glance off the curved sides. But, I'm sure you already knew that. As for the aircraft itself, step dive or no, a 747 will begin to break apart and be hard to control above a certain speed. But, I'm sure you know that too. Regarding your response (shown below) to my previous comments, my facts are straight. I expressed the K-40 / tritium comparison in terms of relative biological activity. Did you actually read the essay? I think you live in a cartoon world, beyond education, beyond conversation, beyond discussion, beyond debate. Seriously: Has this conversation really removed itself from reality to the point where 747s can now bounce harmlessly off containment domes? Are you including the turbine engine shafts -- all four of them, and including coming in from a steep dive? If so, you have a cartoon sense of danger, DeVore. In your cartoon world, the control room, SPENT FUEL POOLS, dry casks, and other structures have magically been placed INSIDE the containment dome, for safety during the airplane strike. Even the NRC thinks terrorism is a real threat -- we differ only on whether a few extra guards, some concrete barriers, and some iron coffins are sufficient to deter a determined enemy flying a swarm of small planes each loaded with explosives and air/fuel bombs, for instance. In your cartoon world, all radiation is good because your wife's radiation therapy was successful (thank God), and hasn't (yet?) given her a secondary cancer. Let's hope she continues to be lucky. Hormesis was discarded long ago. Radiation therapy such as your wife's, is a desperate "last resort" and in no way suggests, as you want me to believe, that infants won't be harmed if they receive tritium through the placenta. In your cartoon world, the government's own "RBE" (which attempts to create a measuring system for radiation damage) no longer applies because "radiation is radiation." In your cartoon world, estimates of the potential deaths from tritium are guesses based on what? Mainly the biased and inadequate studies of Hiroshima and Nagasaki victims, often called the "healthy survivor" studies. In your cartoon world, "reliable" means losing power from a dozen reactors in an instant because (reportedly) a tree fell on a line, as happened in the Northeast a few years ago. Nukes are anything but reliable, and when they go down, they sometimes stay down for years. AND they nearly always fail during emergencies, too, just when you need them the most, in part because it's dangerous to leave a nuke running during a tornado, fire, flood, earthquake, aftershocks, etc.. In your cartoon world, renewables cannot save us from coal deaths because they are too expensive. But you have no solution to the radioactive waste problem, so instead, you want to destroy a California law which simply says: "when a smart enough pronuker comes along who can solve the waste problem, then we'll allow new nukes." In 60 years, the world still waits for that one smart pronuker. But in your cartoon world, that problem's already solved. I strongly advocate reducing fossil fuel use. But eliminating nuclear power plants and halting the ever-growing waste accumulation is far more important -- if you care about the future. The global increase in fission products is still in its infancy. Under current environmental policies, the radioactive burden from nuclear power plants will continue to grow. Each year those plants remain operational, they invite catastrophe and release numerous radioactive poisons which are NOT normally found in the environment, but which bioaccumulate in a variety of ways. The longer-lived isotopes (such as Pu 239) will be around for thousands of generations, as will their daughter products. Nevada has no intention of taking the waste, and if you think you can simply overpower the mayor of Las Vegas (for instance), good luck with that. If you look at the entire nuclear fuel cycle (including waste storage, which has an unknowable cost) nuclear is a net loss on all fronts: economic, greenhouse gas / global warming, and humanitarian. To know this and still use your political power to promote new nuclear power plants is criminally negligent. I suppose if you keep proving that you live in a cartoon world, devoid of realistic projections of what might happen in the future, then perhaps later you'll be able to stay out of prison. Oh, that's right: "I knew nothing!" didn't work at Nuremburg; there's no reason for you to think it will work here. Or are you planning to plead insanity for your criminal (yep, I'll keep saying it) negligence? I was a professional attendee at Comicon last week (the educational software I develop uses a lot of animation and the technology has a lot in common with game technology). I usually defend freedom of speech, such as by contributing to the Comic Book Legal Defense Fund, but I would testify before Congress that cartoons must have warped your brain. I cannot see any other excuse for your denial of reality. Poverty is a big issue (trillion-dollar wars are probably the cause), but building new nuclear plants won't make it better, and never has, and never could. I doubt many wind turbines go up that weren't built largely, if not entirely, with union labor. And it's alright with me if there's a law that all energy projects that get government subsidies must be built by union labor. This could be known as the "undoing decades of nuclear give-aways act." In fact, economics is the least controversial argument against nuclear power. Subsidies like Price-Anderson are necessary because the insurance industry still refuses to insure these nightmares -- it's not a profitable proposition. Wall Street still refuses to invest in nuclear power, so the federal government must put tens of billions of dollars per year -- every year -- into it. Where's the honest capitalism? Eking out a living making wind turbines, against the tide of cartoon solutions and science-fiction dreams. Tell me, Assemblyman DeVore, do you believe in warp drives, too? The AFL-CIO should realize that losing members to cancer is not what they want to promote. The good jobs are in renewable energy solutions. If you and your friends in the nuclear industry would stop lying about the dangers from ionizing radiation, then perhaps we'll get somewhere towards mag-lev trains, offshore wind turbines, and all the other fun stuff humanity is capable of doing, but politicians are capable of stopping. If you and your friends would stop pretending that San Onofre isn't killing people, greener worlds would be possible. But as long as you want to be one of the plutonium-eaters, the DNA-haters, the baby-killers, and as long as you will not even take the time to read a few dozen essays, or a book or two by some of the experts I've mentioned, then I suppose there's no hope for you. In your position of trust and responsibility, such willful ignorance constitutes criminal negligence. Nuclear power really only has one possible end, but I guess we all hope it will happen to someone else first, not to OUR pair of nukes. The catastrophe is coming. A meltdown at San Onofre is not impossible -- only in your cartoon world is everything safe. Before 9-11-2001, most politicians -- probably including you -- said what happened that day was impossible. Skies were safe. Terrorists had other plans. But anti-nuclear activists -- including this one -- have documented proof that THEY worried about such an attack -- the takeover of a jumbo jet and the subsequent crashing of it into something on the ground -- decades ago. Activists tried to at least get the reactors built so they were protected against such things, but their concerns were dismissed. Even Edward Teller wanted reactors built underground, but that was mainly because of the danger from a steam explosion. He was not thinking about a 9-11 style attack. But now that 9-11's happened, you have already forgotten the #1 lesson, which is this: Just because the terrorists have not done THIS before, or THAT before, doesn't mean they can't, or won't, do this, or that. You didn't learn that lesson. I suppose it blew right past you that they tend to like bigger, more dramatic, and as-yet-never-tried things. Another car bomb is ho-hum as far as the media is concerned, right? To get publicity, a terrorist attack had better be something "sweet." Don't forget that around Diablo Canyon they say they're safe because San Onofre is a juicier target. And yet you tell me it's simply (it's all so simple to you) not a target at all! I don't believe you, and nor should anyone else. And the containment domes you PRETEND are some sort of protection against terrorist attacks were, in fact, built to protect from internal steam explosions and the accompanying release of radioactivity -- the same reason Teller wanted the reactors underground. Go ahead, look it up (or ask your financial contributors -- see if they know). The domes may or may not withstand any particular crash from outside, but, with all that spent fuel to light on fire, what terrorist would BOTHER with trying to get past the dome, anyway? I've only pointed out that it would be possible -- it would even be possible to drop a depleted uranium SPEAR on the dome from a BALLOON and the spear would go through the dome and then it could easily destroy the reactor, especially if it were a gravity-bomb with radio-controlled fins and an explosive charge. Oh, that's right. If the terrorists haven't done anything like that yet, then don't worry, they won't. Everything the terrorists will ever attack will be the targets YOU expect them to attack, right? And in the manner YOU expect them to come? Sooner or later, Assemblyman DeVore, their targets will be our nuclear power plants. You've claimed that since that hasn't happened yet (as far as you know, even though numerous threats and attacks against our plants -- big threats but small attacks, so far, and poorly executed, thank God -- have, in fact, occurred over the years), it simply never will happen. You think nuclear power is simple. Obviously, you think the terrorists are simpletons for whom simple solutions which defy the laws of physics will suffice. Your cartoon world is crumbling as you speak. Don't forget to buy duct tape so you can be "sheltered in place" for a few weeks or months after the truth starts to enter your brain. Authorities way higher up the ladder than you (and with full backing of the military) will make sure you can't even think about driving away from the fission cloud. You'll be stuck. You'll be contaminated. If your family lives, no one will want to marry your children. I find the terrorism argument completely unconvincing. If nuclear plants were such inviting targets, with a world full of them, why haven\'t any been hit successfully? Of course, containment domes are very tough structures to defeat. A 747 would bounce off one, not causing a breach. As for tritium, radiation is radiation. Your own body\'s potassium is a more persistent, larger, and more active source of radiation than tritium from SONGS ever could be. Get your facts straight. Since fossil fuel burning causes about 3 million premature deaths per year in the world, according the WHO, you must be then willing to increase that to 3.3 million so as to save the 100 or so people who may prematurely die because of low level exposure to tritium. Mr. Hoffman, we live in a real world with real tradeoffs. By the way, my nuclear power supporters in the AFL-CIO view poverty as a bigger issue and a bigger killer ­ poverty that is made worse by higher energy costs. Lastly, labeling me "criminally negligent" several times doesn't make it so. I'm sorry to hear about your cancer. My wife's thyroid cancer was killed and cured with radioactive iodine, so I have a different view of radiation informed by the life-saving aspects of nuclear medicine. I see nuclear power as a significant source of reliable, low greenhouse gas emission energy. You do not, but you do not offer an affordable, viable, realistic alternative. Below, typos and all, is how California State Assemblyman Chuck DeVore (R-70 (Irvine)) responded to my newsletter of earlier today, as published in MWC. His response came less than seven hours after I sent out the newsletter. I am honored by his sense of urgency in the matter, and the sense of importance he seems to have attached to my comments by responding in a way that is clearly not a form letter. Below, top, is my response to Assemblyman DeVore. Then, bottom, his letter to me, as posted at the MWC web site. If anyone wishes to respond to Assemblyman DeVore directly, please keep it civil, and please "cc" me, as well. Thank you in advance. But I wanted to mention a few things. First, because of your position of responsibility and authority, your response regarding the terrorism issue was utterly inadequate and criminally negligent. I've read Bennett Ramberg. Do you even know who he is? Second, because of your position of responsibility and authority, your response regarding the concern I expressed for the fact that tritium crosses the placenta was utterly inadequate and criminally negligent. I've read Rosalie Bertell. Do you even know who she is? Third, because of your position of responsibility and authority, your response regarding my concerns about Genpatsu-Shinsai was utterly inadequate and criminally negligent, especially in light of today's 5.4 earthquake so near to SONWGS. Let's go together to Kashiwazaki, Japan, and see what happened there, and let's learn, together, why all those reactors are still closed more than a year after the Chuetsu Offshore Earthquake in 2007. The plant was located more than 10 miles from the epicenter. Such earthquakes apparently were not expected near there, since the earthquake produced ground motion more than twice the design basis. Are you sure our earthquakes won't exceed SONWGS's design basis, and are you sure SONWGS can withstand its design basis earthquake? If you are, I doubt you are studying the available global data on building failures during earthquakes. A certain percentage of buildings succumb much more easily than expected. Can you be sure the control rooms, or some other vital part of SONWGS, won't be one of those buildings, when it's our turn to experience a strong earthquake nearby, or even directly under one of our reactors? Can you be sure a tsunami won't overwhelm the puny little sea wall, following an underwater landslide offshore? No, of course you can't. And fourth, just as an example: If your really want to talk about K-40 instead of just throwing out some claim about it, you are welcome to read my "expose" on the subject, which I wrote after another "formula pronuker" threw that silliness at me last year (see "It's all about the DNA," below). As to your article in Ecology Law Currents, a quick glance through your tired arguments shows your solution to the plutonium production problem is reprocessing, like they do in France. Do you mean like at La Hague, where they pour fission products into the North Sea? Or the way they leak uranium into the streams at Tricastin, a name that will live in infamy among thousands of families, who now suddenly must wonder if they have been poisoned? Or do you mean the way the French ran the Tour de France again this year, where rider after rider crashed -- into guard-rails, trees, spectators, signposts, and other riders? Yeah, great job there, France. Great role model, Chuck. You don't have a solution to the waste problem, or the plutonium production problem, and that's a fact. And as for "hard numbers" on tritium, I'd like to see you tell me what number I missed in my main tritium presentation also linked to below, which is a lot more technical than your comments in Ecology Law Currents. And please review the comments shown below by retired nuclear physicist Jack Shannon, regarding a previous newsletter. He's been on my subscriber list for about ten years. In a separate email I'll send the full newsletter he was responding to, from last week. It was about an opinion poll you think is important, according to your web site. And by the way: Don't bother waving the flag and calling me a leftist. I'm a citizen. A U.S. citizen who had bladder cancer and wonders if the cause was the tritium from San Onofre, or the plutonium from SNAP-9A, or some other radiation assault, or DDT or something else -- maybe second hand cigarette smoke (or do you not believe in that, either?). I've written interactive human interface software to control military-grade weapons-capable lasers, and dozens of government agencies (and 100s of universities) continue to purchase my civilian and industrial educational software products. I vote green, and I'll bet Ben Franklin would have too, considering he really founded the "environmental" movement, as far as I can tell. The one you're rebelling against right now. When I saw you speak, Dan Hirsch, your opponent that day, wiped the floor with you. And I should have started my column by mentioning your own ad hominem attacks on Jerry Collamer, to head off your -- dare I say pathetic -- opening salvo against me. Lastly, the "1972/1976" error is duly noted; the reference I checked was wrong, but gee, I think it actually came from a pro-nuke web site. Maybe even yours. >I will lend my support to your comments plus any additional comments concerning Nuclear Power that you wish to add. You are more knowledgeable of this energy source, and more honest, than most of the Scientists and Engineers who I worked with at KAPL Please feel free to use my name and titles to anything you have to say, or add to anything you have said or done in the past. >Nuclear Physicist/Nuclear Engineer for GE from 1959 - 1990., as well as Manager of Reactor Physics. >Manager of Nuclear Criticality Safety, Environmental Safety and Industrial Safety at KAPL, Kesselring Site Operations, and Windsor sites of the Naval Reactors Program Run by GE. >Designer of the DIG Core 2, cores 2 A and 2 B. >A design Engineer for a still classified but never used plant designed for use on Nuclear Powered Submarines. [ I have many comments to make about this plant, but I am afraid it is still classified. Not because it was good, it was just dumb. Mr. Hoffman, I find your article attacking my position on nuclear power so poorly written, I hardly know where to begin, but let me try. As with many liberals you begin with a dozy of an ad hominem, writing, "…when he introduced a bill to allow new nuclear power plants in the state. He hardly knew a thing about nuclear power back then, made a fool of himself, and the bill was defeated." But badly researched personal attacks won't get you far. I did then and do now know a thing or two about nuclear power. As for "making a fool" out of myself – that hasn't happened yet in committee, in live debates with seasoned anti-nuclear activists or in press interviews. In fact, during my opening remarks in my first try at lifting California's 1976 ban (not 1972 as you erroneously wrote) the Chair of the Natural Resources Committee, a Berkeley Democrat, cut me off mid-sentence in my opening remarks. In the resulting news article, the San Francisco Chronicle was clearly unimpressed with her closed-minded approach to a major public policy issue. As to your calling my letter to the editor of the San Clemente Sun-Post "…a calculated attack… …practically a form letter." I'm sorry to hear you don't like my writing style, a one fact you do make abundantly clear in your own "calculated attack." But, I did write the letter myself, so I stand behind it. You then attack my calculations of the amount of radiation around the nuclear plant at San Onofre. But, in attacking my numbers, you offer none of your own. Perhaps because radiation is so prevalent around us and even in us all the time (ever eat a banana, Mr. Hoffman, they're loaded with radioactive potassium – one of the reasons your own body is probably emitting about 7,000 becquerels of radiation right now). As for relative risks, since nuclear power is about 6.5 orders of magnitude more powerful than simple chemical reactions, the amount of waste to deal with is small compared to fossil fuels. Perhaps that's one reason why the World Health Organization estimates that three million people a year prematurely die from exposure to the products of fossil fuel burning. If nuclear power caused one hundredths of the deaths per year, I'm sure you would have gleefully cited the statistics, but you didn't, because the data does not support you. Your fictional elevated bullet train rebuttal is amusing. First, where do we get the power for such a train? Second, how do we serve a place as vast as America? Third, you think environmental approvals are hard to built power lines to connect to wind and solar fields, imagine the years' delaying lawsuits for the train network you envision. Wind power cannot supply our needs. Even Denmark is pulling back from their bullishness on wind, as is Germany (dirty little secret is that the Danes get fully 50 percent of their power from coal). I know all about Diamond Valley Lake, which you mention, but not by name – even took a tour of the facility two years ago. You cavalierly mention "…other reservoirs lower in the system" – and those would be? The fact is Diamond Valley Lake is connected to Southern California's water system by a very small canal. Your idea wouldn't work – and if it could on another lake, you have to account for efficiency losses that effectively triple the cost of wind energy on demand when linked to a hydro-based energy storage system. As for the statement "Nukes are notoriously unreliable, from fires inside the plant, and from a thousand other causes." This is patently false. The U.S. nuclear industry is now running at about 90 percent availability – far better than California's wind turbines which produce power 17 percent of the time that it is needed. As for earthquakes, nuclear power plants can be designed to withstand large earthquakes, while the containment domes themselves, due to the very nature of their construction, are immune damage from quakes. The same cannot be said of hydroelectric dams, by the way. As for the costs of nuclear plants, the same exact cost escalators hit wind power as well – especially so as it take about 10 times the amount of steel and cement for wind power to produce the same amount of electricity as a nuclear plant. One last observation though, if one of the dry casks storing used nuclear fuel at San Onofre were breached, there would be no "catastrophe" at all. Saying so clearly betrays an ignorance of radiation and how it propagates. In fact, if a hole were to be poked in a dry cask, it would be a non-event as the public would not be harmed in the slightest. California Assemblyman Chuck DeVore first announced his ardent support for nuclear power a little over a year ago, when he introduced a bill to allow new nuclear power plants in the state. He hardly knew a thing about nuclear power back then, made a fool of himself, and the bill was defeated. Now he is claiming that nuclear technology is: "Simple science, engineering, and economics." I've studied nuclear power for more than 35 years: It isn't simple. DeVore's letter (shown below) is a calculated attack, although it is practically a form letter. Pronukers only call nuclear technology simple when they want to denigrate a specific activist, as in: "It's so simple, why don't you understand it?" Otherwise, they'll say: "It's so complicated, you obviously just don't understand it." DeVore is afraid to say that, since he doesn't understand it much, himself. DeVore points out that tritium occurs naturally. Yes -- caused by cosmic rays -- but at what rate? DeVore doesn't mention the rate, probably because he doesn't want the public to know that even for surface water, it's about a 3,000th of the legal limit for tritium in drinking water of 20,000 picoCuries per liter. Virtually all of nature's tritium is only in the surface water. DeVore is pulling numbers out of his hat. Is the tritium poisoning from San Onofre really "less than 0.001 millirems of radiation per year" or is that just someone's "best guess?" And for that matter, how much less? Because let's face it, they ALSO tell us, with a straight face, that San Onofre has "zero" radioactive emissions. Yet they're admitting to increasing our tritium intake by "less than 0.001 millirems of radiation per year" per person, so how is that "zero"? A point to note for next time they say "zero emissions." When DeVore compares nuke plant emissions to an airplane flight, he forgets one crucial fact: Flying is voluntary, and the people flying and taking most of the risk also get the benefit. Electricity can be produced in benign ways. Even if these ways are more expensive (which they aren't) the fact that they are benign is worth something. Besides, a 350-mph elevated electric bullet train could get across the country in less than half a day, center-city to center-city, easily competing with total travel times when going by air. It would be quiet, efficient, and vastly safer than diesel trains, cars, or airplanes. It could be built in just a few years. The trains could not be hijacked into nuclear power plants or other crucial structures. Such trains would quickly put most airlines out of business forever -- and good riddance. If we reduce the fuel used by the airline industry, it eases the demand in other areas. But how do we get all the electricity we would need? Wind power (with or without a mix of other renewables) can supply all our needs. And apparently DeVore doesn't remember that we have a beautiful new lake in SoCal which you can pump water into when renewable energy is available, and let the water flow out through hydraulic turbines when needed (into other reservoirs lower in the system). There's your peaking power, your night power, your cloudy-day power. The reliability of such a system would far surpass anything DeVore's nukes could deliver, even though renewable sources may be intermittent by themselves. Nukes are notoriously unreliable, from fires inside the plant, and from a thousand other causes. As I am completing this document (and thinking of a title for it) a magnitude 5.4 earthquake has struck about 65 miles away. San Onofre is about 15 miles closer to the epicenter. Geologists are calling today's quake "an earthquake drill for The Big One" and say it neither "cuts the severity or the risk" of The Big One coming tomorrow. The Japanese have a phrase for what might happen: Genpatsu-Shinsai. We have a phrase for what IS happening: Criminal Negligence. You are not being protected as you have the right to expect. DeVore is also wrong about the cost estimates for new nuclear power plants. Today's higher gas prices influence all construction projects. Estimates of $2 billion for a new nuclear plant (on an existing site) could be found a few years ago. Next it was four, now eight billion. Next year, who knows? It would not surprise me if sixteen billion dollars was the projected construction cost of a new nuclear power plant in 2009. The real cost is sure to be even higher. And that's not including the hospitals for the cancer victims, either. Pronukers never include any of those costs. DeVore claims nuclear power is five times cheaper than solar power. It's probably closer to the other way around, and of course, that's not including paying for the "simple science" of solving the waste problem, or for an accident. Or the "simple science" of building a next generation of nukes that actually works. The designs are years late, haven't been finalized, and the estimated costs keep rising. The cheapest way to replace San Onofre is with energy conservation efforts. Car and truck manufacturers could be forced to increase their fleet's gas mileage. Rules on housing insulation, roofing, venting, and yes -- solar heating and cooling could all be tightened. Many solar systems are totally passive (no moving parts), require no maintenance, and come with lifetime guarantees. But people still won't buy them. That's what rules, regulations and legislation are for. Instead, old, biased metering laws are another problem yet to be "solved" by the regulators. Regardless of what we do with San Onofre, we WILL do many of these things. We will add capacity, or save through conservation, the equivalent of San Onofre's entire energy output every couple of years, regardless of whether we close San Onofre or not. But if we close it, we will immediately stop building up the waste pile. The expensive, dangerous, complex, intractable waste pile. If we switch to renewables a little bit sooner, a little quicker, a little better, a little more completely, we can even stop burning our precious coal and oil (this was recognized as a crime as far back as the 1800s, long before nuclear power was even dreamed of). DeVore compares San Onofre's cost per megawatt to natural gas (the cleanest of all carbon-based fuels). But wind power compares even more favorably, without leaving the deadly and costly legacy of nuclear waste, and without the possibility of bone-headed accidents or terrorism, or catastrophic engineering flaws, or acts of God. Each additional gram of spent fuel which San Onofre produces is enough to poison a city. Yucca Mountain is now expected to cost nearly 100 billion dollars, and the price could still go much higher, if it is ever built (which this writer doubts, and he doubts also, that, if built, it will work). But the utilities will have made their billions and people (like me) will have gotten their cancers. DeVore also compares nukes to coal. Historically, pronukers never used to claim anything about coal being a significant radiation emitter. When discussing the dangers of coal 30 or 40 years ago, they would talk about sulfur emissions, black lung disease, and mining accidents. In the last few years, however, pronukers like DeVore have started talking about the radon, thorium, uranium, and so on. But in reality, the nuclear fuel cycle's mine tailings alone present a far greater radiological hazard than coal's radiation dangers (which, admittedly, also exist). The scientific estimate of tritium's Relative Biological Effectiveness (RBE) may change again. If it does, there is little doubt which way it will go -- they will tighten the standards. In fact, the only reason 20,000 picoCuries per liter of drinking water is allowed by the EPA is because it would be too expensive for nuke operators to reduce the value lower than that (they do capture tritium sometimes, when they want it; but no one has any use for that much tritium). Tritium crosses the placenta. When the fetus needs liquid, if the mother has been poisoned with tritium, then the fetus gets poisoned, too. How much tritium is DeVore willing to add to the fetus's environment before he thinks it would be too much? Would ten nuke plants in SoCal, each releasing about a 1000 Curies of tritium, and each producing about 500 pounds of plutonium per year, be enough for DeVore? Most of the so-called "background radiation" DeVore mentions never even gets inside a person (that which does get inside is presumed to be responsible for billions of cancers, worldwide). But tritium can get inside. Does DeVore know how much tritium it takes to potentially harm a fetus fatally, or mutate it, causing a painful deformity? Millions of people are exposed to San Onofre's tritium. Every radioactive decay can cause cancer, and kill. They are not just polluting the local water. They are polluting everybody else's water, too. The half-life of tritium is about 12.3 years. Is DeVore's claim of "less than 0.001 millirem per year" really a locally-taken reading? When was the last time anyone went out and tried to measure it? Who was tested? DeVore never explains the law he says needs to be overturned, just claiming it bans new reactors. What the California law really says, which many other local laws around the country and around the world also say, is this: You cannot build new reactors until the nuclear waste problem is solved. But of course, it can't be solved. It would violate the laws of physics to do so. The nuclear industry hopes DeVore will successfully overturn California's law. In the meantime, they circumvent the spirit of the law. San Onofre's owners want to replace about 25% of each reactor at the plant in the next few years -- at a cost of around 3 to 5 billion dollars, in dozens of little projects. It might be 30% or more; it might be only 20% And they probably will replace another 25% in the next 10 years. If you want reliability, don't buy an old, partially-rebuilt car. And don't buy an old, partially-rebuilt nuke plant, either. To rebuild more of the plant now would cost a lot more money -- now. More people would object, because higher rate increases would undoubtedly have to be granted (since SCE really has no excess cash to speak of) to pay for the work. If they actually promoted the idea that it would be "nearly 100% rebuilt" that would make it clear to everybody that the "new" San Onofre violates the law forbidding new reactors until the waste problem is solved. This piecemeal replacement means that, until the day they finally shut it down for good, they'll be replacing failing old parts which were installed prior to the day it went online decades ago, and they'll be having SCRAMS (emergency shutdowns) because of those failures. So really, we're getting the worst of all possible worlds -- partially rebuilt old reactors BECAUSE of the 1972 law, AND, if DeVore gets his way, new reactors all over California, too. And still no place to put the waste! The 1972 law says "solve the waste problem first." If it's all so simple, as DeVore claims, then why isn't it solved yet? The answer: Ionizing radiation breaks down any chemical bond. The nuclear industry tries to get the world to misunderstand the significance of that "little" fact. Over the decades, tens of thousands of scientists (and millions of citizens) have spoken out against nuclear power and against nuclear weapons, which are still very inter-connected. Nuclear power represents a "retirement program" for military servicemen on board our nuclear submarines and nuclear aircraft carriers, and San Onofre (and Diablo Cyn, and each of the others) produce about 500 pounds of plutonium per year per reactor. Democratic principles were ignored, and the plants and bombs were built anyway. Time has proven that the old "anti-nuclear" ideas which DeVore disparages were, in fact, completely correct. Yet the industry continues living on lies, and continues producing copious quantities of carcinogens for infants and other living things, with essentially no insurance in case of a catastrophe, and with a thousand other scandals. San Onofre should be shut down and its waste removed -- but to where? A desolate location of course! But "desolate" and "empty" are not the same thing, and whoever is already there will have to be well-paid to get them to store the nuclear fuel rods for tens of thousands of years. The waste will be stored at your children's expense -- both in their radiation burden from released radionuclides, and in more obvious ways, namely, money for guards, new fences, new roofs, new filters, and, as the fuel rods inside crumble, possibly unquenchable fires -- or worse -- within a few decades. The less waste there is, the lower the likelihood of an accident (and the lower the day-to-day cost). Experts have recommended that San Onofre's dry casks should at least be separated from each other by mounds of dirt, with other protective measures. Southern California Edison has rejected all such requests. They have no land or money for such safety measures. So safety is further compromised so that San Onofre's owners can make a profit. The future for those "dry casks" is clear. One day, a tragedy will occur. A thin veneer of steel and concrete (thin to a jumbo jet's turbine engine shafts, or to a cluster of 50-caliber machine gun rounds) is all that stops the catastrophe. Shutting San Onofre down permanently begins the long, slow process of reducing the risk. Until then, 250 pounds per day, per reactor, of "high level radioactive waste" -- which is almost entirely spent fuel -- will be generated. Tritium and other radionuclides will be released, profits will be made, waste will pile up, and citizens will die. Jerry Collamer trots out the usual anti-nuclear-power arguments in his July 10 letter to the editor entitled, "Imagine San Onofre without SONGS" and in his July 22 follow-up, but he fails to grasp simple science, engineering and economics. First, Mr. Collamer frets about tritium leakage from the San Onofre Nuclear Generating Station (SONGS). What is tritium? It is an isotope of hydrogen containing two neutrons. It comes from both natural and man-made sources. Natures's tritium is being constantly made when cosmic rays collide with Earth's atmosphere. Man-made tritium can be produced by nuclear reactors. The two operating nuclear reactors at San Onofre do produce tritium. How much? Enough to increase exposure to humans by less than 0.001 millirems of radiation per year, or 3/10,000th of a percent of the normal radiation dose an average person would get in a year. Put another way, if you flew round trip to New York from L.A., that one trip would give you about 5,000 times more radiation than would the tritium from swimming in the ocean near San Onofre for a year. On the other hand, San Onofre's nuclear reactors save about $2 billion a year in natural gas that would otherwise be burned to make electricity. SONGS also saves millions of pounds of coal from being burned every year - and burning coal is responsible for releasing tons of mercury, as well as radioactive particles, into the environment. Mr. Collamer then advocates building more solar power in Riverside to replace San Onofre's nuclear reactors. I was not aware that the sun shined 24 hours a day in Riverside. Even so, solar costs a minimum of five times more per kilowatt hour than does nuclear power. Due to construction and maintenance costs, solar is less effective at reducing greenhouse gas emissions as well, with about seven times the full life-cycle greenhouse gas emission of nuclear. The fact is, we need nuclear power in California. Modern nuclear power is safe and efficient. Each new reactor built would save about $2 billion a year of natural gas from being burned - money that is best kept in California to boost our economy. Each new reactor also saves millions of metric tons of greenhouse gas emissions every year. In fact, California's ambitious greenhouse gas reduction plans are impossible to reach without additional nuclear power. That is why I have written four bills in the past two years to lift California's obsolete 1970s ban on the construction of new nuclear-power plants. Contact information for Ace Hoffman appears at the bottom of this email. In light of the claims made by the media and the nuclear industry as a result of your poll asking Californians about nuclear power, I am interested in the exact wording of the questions. Specifically, was any attempt made to ascertain how much understanding poll respondents had about the complex issues involved? I am asking for this information as a first step towards reviewing the poll for balance and determining if it provides truly useful information. Public opinion polls are one of the ways the public ought to be able to influence their own future. That is why you expect "us" to participate in them, is it not? But perhaps all they show is that the public has been grotesquely misled, and is confused on the issues. If questions which would reveal such ignorance are not included, what good is the poll? I am also interested in the wording of questions in the previous polls you have taken, since the change from one poll to another is considered (by the nuclear industry) to be significant. The citizen has very few methods of influencing government action. Underlings often block citizens' attempts to contact their elected officials directly. California's governor, in his public statements, does not show any significant understanding of the dangers we face because of the use of nuclear power. Nor does he seem to understand the comparative financial value of other energy choices for California. Citizens' complaints are not addressed. Worse, vital security issues are ignored. Due to the complexities of the issues, the media generally has little or even no grasp of the technicalities. It takes a nuclear scientist, or so they say. And if you educate yourself about the issues outside the hollowed schools and military academies, you'll be called an "activist." No longer a citizen; they'll say you have an agenda -- merely for educating yourself! For these reasons, it is imperative that poll designers should, themselves, keep up with any highly technical issues they wish to study, such as nuclear power. Otherwise, how can they be sure they have not designed questions which are misleading? For example, many pro-nuclear activists call tritium's beta decay particle "harmless" because they claim it is "low-energy." It is not harmless, and as to being low energy, it is only low energy for a beta particle. However, since beta particles do most of their damage near the end of their track when their energy (and speed) is (are) comparatively low (they give up some energy to every charged particle they pass close to), the "fact" that tritium's beta particles are "low-energy" -- for beta particles -- doesn't make them "harmless" -- or even necessarily less harmful than other beta particles. If I'm being too technical, perhaps that underscores my point about your poll. Did it ask the respondents if they know that tritium can be absorbed directly through the skin? And did your poll ask if they know that nuclear power plants, generically, leak about 1000 Curies a year of tritium? (California's nukes are no exceptions.) 1000 Curies is about a teaspoon of tritium -- enough to pollute about 13 billion gallons right up to the EPA "safe" limit for drinking water (20,000 picoCuries per liter). Did your poll ask if the respondents are aware of any of this? Because it's all true, but the nuclear industry does not want the general public to know that tritium is dangerous or that so much tritium is released, on average, by every operating nuclear power plant. Did the pollsters ask the respondents, for example, if they happened to have a solution to the nuclear waste problem? Because nobody else has a solution. Yucca Mountain is a technological flop, and in any case, just tries to isolate the waste a few dozen miles from Las Vegas, Nevada. If anyone has a better idea, they are encouraged to submit it to the Yucca Mountain team, which considered everything from deep sea disposal (environmentally disastrous within the 10,000-year legal time-limit), to reprocessing (not cost-effective, and very polluting), to rocketing the waste into outer space (too many launch accidents, and way, way way too expensive, although pronukers still believe it's possible). All these ideas -- and many more -- were rejected on technological grounds before Yucca Mountain was accepted as a last resort, meaning, the Yucca Mountain team was charged with coming up with something, even if it wasn't a great idea. Yucca Mountain is certainly NOT a great idea (or even a good idea). Did your poll look for any great ideas, or did it happen to mention to people, in the course of finding out what they think, that in sixty years, the nuclear industry hasn't come up with one? America was founded on honesty and the ability of the people to help make informed decisions by having the facts. The nuclear industry is the most misleading, confusing, complex, secretive, and dishonest undertaking in history. Did your poll reveal the decades of lies by nuclear power's proponents? Or did it just reveal that those lies have worked? Do you know which of these things your poll revealed? Was it designed to reveal the public's knowledge about the issues, or just the "gut feelings" of the masses? Were voters selected by any additional criteria besides being on the voting roll? If the poll's questions produced biased results, then your poll will not serve anyone -- except those who do not care if, as a country, we make logical, thoughtful decisions based on the facts, or illogical ones based on believed propaganda. I have more than 35 years of experience studying nuclear issues. I would like to review your poll in detail, and see what it really reveals about Californians' opinions of nuclear power, or about the pollsters. Perhaps it is misleading the media. Perhaps it is misleading the public. Perhaps it is misleading the politicians. Perhaps it only shows half a truth. One way or the other, I wish to know. Is this possible, and if not, why not? The author is an award-wining educational software developer. URLs for four commercial products the author has programmed (and in some cases, authored) are shown below for affiliation purposes. He is the curator for a collection of nearly 500 nuke-related books and educational videos going back as far as the Smyth report (A GENERAL ACCOUNT OF THE DEVELOPMENT OF METHODS OF USING ATOMIC ENERGY FOR MILITARY PURPOSES UNDER THE AUSPICES OF THE UNITED STATES GOVERNMENT 1940-1945, by H. D. Smyth, Chairman of the Department of Physics of Princeton University, Consultant to the Manhattan District U. S. Corps of Engineers. Written at the request of Major General L. R. Groves, United States Army. U. S. Government Printing Office, Washington, D.C.. Publication authorized as of August, 1945 (price: 40 cents)). The above programs also ask for a "login ID," but that can be anything in the current releases. Support for the construction of more nuclear power plants in the US state of California has grown over the past two decades, with half of Californians now in favour of new reactors, according to a recent poll conducted by Field Research Corp. The latest poll, conducted 8-14 July, questioned 809 registered voters in the state about their reactions to rising oil prices. When asked whether "the building of more nuclear power plants should be allowed in California," 50% of respondents agreed that new plants should be built, while 41% disagreed and 9% had no opinion. The poll showed that support for new nuclear plants was greatest among Republican voters (64%), while 41% of Democrats were in favour. A similar Field poll conducted in 1990 found that 38% of Californians were in favour of more plants and 56% were against them. An earlier poll, in 1984, showed that 33% approved the construction of new nuclear plants and 61% were opposed. The earliest Field poll on nuclear energy, taken in 1976, put support for new plants at 69% while just 19% of Californians opposed them. Support for new nuclear plants in California dropped to 37% in 1979, with 55% of residents opposed, following the accident at the Three Mile Island nuclear power plant in the state of Pennsylvania, according to a Field poll conducted that year. The Field poll has operated continuously since 1947 as an independent, non-partisan, media-sponsored public opinion news service. Each year the poll covers a wide range of political and social topics examining Californian public opinion. California, the most populous state in the USA with over 36 million inhabitants, has set targets to reduce carbon dioxide emissions to 1990 levels by 2020. The state has a moratorium on nuclear power plant construction. A 1975 law prohibits the use of land in California for the construction of new nuclear power plants until the State Energy Resources Conservation and Development Commission confirms the existence of "an approved and demonstrated technology or means for the disposal of high-level nuclear waste." At the current rate of progress, the USA national radioactive waste repository planned for Yucca Mountain would not be ready before 2017 at the earliest. In 2007, a bill was introduced in California's state legislature by Republican assembly member Chuck DeVore calling for the moratorium to be lifted. However, the bill failed to receive the necessary support to make it into law. Meanwhile, state governor Arnold Schwarzenegger has said that he thinks nuclear power has a "great future" and that the state should seriously reconsider using the "beneficial" technology. There are currently four nuclear power reactors in operation in California: Diablo Canyon 1 and 2 (owned by Pacific Gas & Electric Co) and San Onofre 2 and 3 (owned by Southern California Edison Co and San Diego Gas & Electric Co). The plants provide some 16% of California's electricity needs. Let's BBQ! More specifically, let's BBQ ourselves from the inside with radioactive particles. "San Onofre does not produce plutonium." "San Onofre does not emit any radioactive waste." So: Do commercial nuclear reactors produce plutonium? And do they emit radioactive waste? Yes, and yes. They all do. Let's concentrate on plutonium production, and consider the evidence from decades' worth of literature. All U.S. commercial reactors are Light Water Reactors (LWRs). About 70% are Pressurized Water Reactors (PWRs). The rest are Boiling Water Reactors (BWRs). First up: From a very popular nuclear physics textbook from the mid 1950's, the figure of 0.46 pounds per ton per year is given for the conversion of U-235 to Pu-239 in the Brookhaven reactor (a small early research reactor on Long Island, NY). An equal amount of (radioactive) fission products were also produced (1). In 1974, The Ubiquitous Atom described the formation of plutonium in the Radiation Laboratory, Berkeley, California, in March, 1940: "This element, unknown to nature, was formed by uranium 238 capturing a neutron, and thence undergoing two successive changes in atomic structure with the emission of beta particles" (2). In Edward Teller's 1979 book, the father of the H-Bomb describes a "provocative series of articles in The New Yorker" from December 1973 which discussed: "nuclear sabotage, and the possibility that plutonium produced by nuclear reactors might be stolen and used to construct a homemade nuclear explosive. With the continuing prevalence of terrorism, these dangers should not be disregarded" (3). From No Nukes: Everyone's Guide to Nuclear Power (1979): "The average commercial reactor sold today produces around 500 pounds of plutonium each year. The bomb that destroyed Nagasaki was made with 10 pounds of plutonium -- one fiftieth of the yearly output" (4). According to Plutonium, Power, and Politics (1979), reactor fuel for LWRs starts at "about 3 percent U-235 and 97 percent U-238. After its full residence in the core (about three years for a PWR, four for a BWR), the spent fuel consists (by mass) of about 95 percent U-238, 1 percent plutonium, 1 percent residual U-235, and about 3 percent light elements produced by fission of uranium and plutonium" (5). Nuclear Power in Crises (1989), noted: "The purpose of reprocessing is to separate unburned uranium and other potential fuel isotopes, like plutonium, from the useless by-products of the fission process: in theory this maximizes the energy value of the fuel and minimizes the residues of highly radioactive waste. Unfortunately, the technology is difficult and dangerous, especially for the treatment of thermal oxide fuels used in light water reactors (Bunyard, 1981), and few countries have been willing to persist with its development." The book notes that "even" the U.S.A. had, at the time, abandoned reprocessing (6). The U.S.A. still does not reprocess spent fuel. Caldicott points out in If You Love This Planet (1992) that: "Wherever the world's nuclear power plants are located, radioactive wastes are discharged into seas, rivers, or lakes. All reactors need thousands of gallons a day for cooling, and this water is routinely flushed back into the water system, inevitably polluted with radioactive elements" (7). Megawatts and Megatons (2002), states that at the reprocessing plant at La Hague, France (operated by AREVA): "The spent fuel from low-enriched uranium contains about 1% plutonium -- about 200 kg to 250 kg from the annual download of 20 to 25 tons from each reactor" (8). French reactors are almost exclusively PWRs. Clearly, the spokesperson for SDG&E is intentionally misspeaking. Perhaps it is because she knows that: "Statements made by the public affairs officers of a NRC licensee are not regulated activities. Therefore, the veracity of such statements will not be investigated by the NRC" (9). 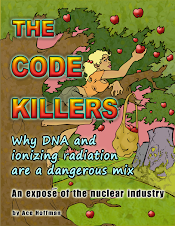 The author, an award-winning educational software developer, has studied nuclear issues for more than 35 years. (1) Principles of Nuclear Reactor Engineering, Samuel Glasstone, Consultant, US Atomic Energy Commission (with assistance from staff members of Oak Ridge National Laboratories) Foreword by Lewis L. Strauss, Chairman, USAEC, D. Van Norstrand & Co, New Jersey, 4th Edition, Sept., 1956, pages 396-399. These figures are given to provide some idea of the magnitude of the problem involved in the recovery and purification of fertile and fissionable materials in the processing of spent reactor fuel. Each ton of such fuel, according to the foregoing considerations, will contain about 0.46 lb of plutonium, 0.46 lb of fission products, and just over 1999 lb of uranium. The proportion of uranium-235 in the latter will have been reduced from the normal value of 0.71 to slightly over 0.68 per cent, partly by fission and partly by conversion to uranium-236 as a result of neutron capture." (2) The Ubiquitous Atom, Grace Marmor Spruch and Larry Spruch, "Based upon material from booklets in the series "Understanding the atom, produced under the aegis of the United States Atomic Energy Commission." Charles Scribner's Sons, New York, 1974, Page 281. (3) Energy from Heaven and Earth, Edward Teller, W. H. Freeman & Co., San Francisco, 1979, page 192. (5) Plutonium, Power, and Politics: International Arrangements for the Disposition of Spent Nuclear Fuel, Gene I. Rochlin, University of California Press, 1979, page 83. The quote continues: "There are also small amounts of other heavy elements, particularly neptunium, americium, and curium, that are produced by a complex series of neutron absorptions and radioactive decays." On page 79 it states: "There is no doubt that throughout the twenty-plus-year history of commercial nuclear power, and the twenty year history of the dissemination of the technology for fuel reprocessing, it has been the assumption of nuclear industry and nuclear agencies alike that spent reactor fuel would be reprocessed . . . Alternatives to reprocessing for the disposition of spent fuel were never given serious consideration." On page 86 it points out that a "uranium-only recycle would provide no economic incentive to reprocess spent fuel at this time." To be economically viable, the plutonium must also be recovered. (6) Nuclear Power in Crises: Politics and Planning for the Nuclear State, Edited by Andrew Blowers and David Pepper, Nichols Publ. Co., New York, 1987, page 69. (7) If You Love This Planet: A Plan to Heal The Earth, Helen Caldicott, M. D., W. W. Norton & Co., New York, 1992, page 87. (8) Megawatts and Megatons: The Future of Nuclear Power and Nuclear Weapons, by Richard L. Garwin and Georges Charpak, University of Chicago Press, 2001, 2002, page 136. (9) Letter to the author from the Nuclear Regulatory Commission, received following a complaint about the spokesperson for Southern California Edison (SCE) lying intentionally (2001).